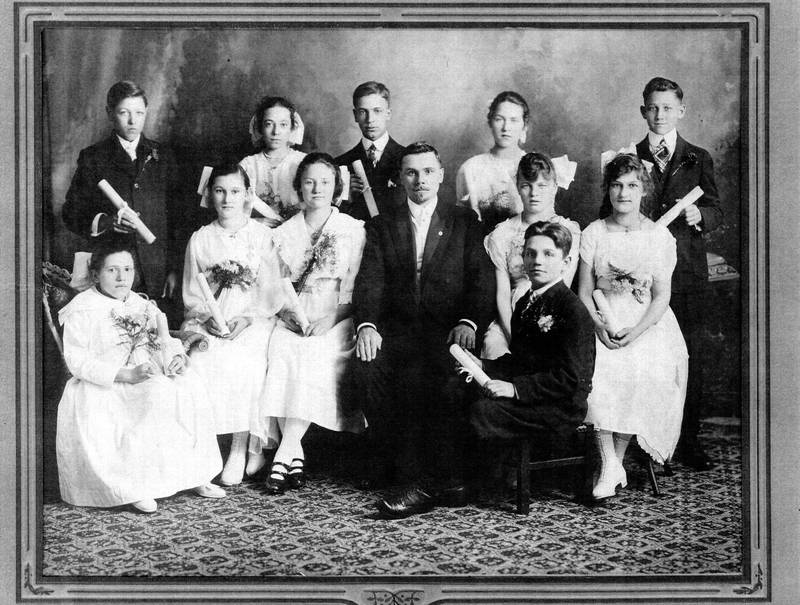 The Second German Congregational Church Confirmation Class of April 1, 1917. Front row from left to right: ?, ?, ?, Rev. Heinrich Hagelganz, ?, Henry Mill (seated at an angle), ? Not identified: Margareta Deines, Lea Knippel, Elisabeth Kohler, Emilie Kohler, Jacob Kohler, Maria Leichner, Herman J. Schlottman, Stella Stoffers, Anna Weidenkeller.